The very first thing I decorate for Christmas every year is the mantel in our family room. And each year I try to create a different look. This year I was inspired by TREES! Trees have shown up in almost every room here at StoneGable. For the family room, I kept the trees very natural except for the garland of tiny stars that trim them. And this year I’m loving decking my halls in bright red and white with a little bit of dramatic black! 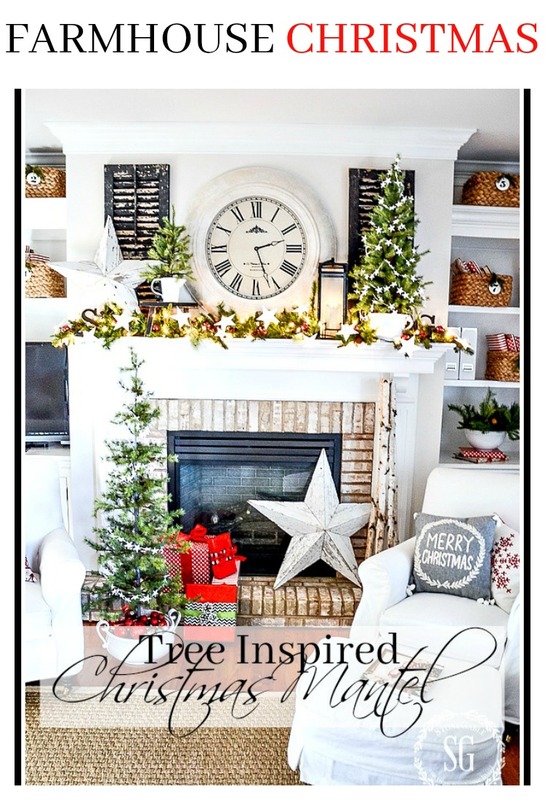 Let’s take a look at my tree inspired Christmas mantel! A big thank you to Suzy from Worthing Court for hosting this fun blog event! 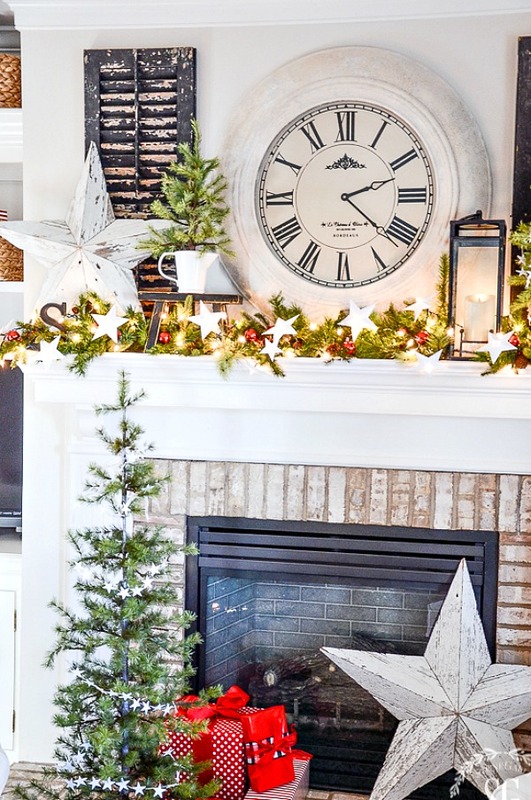 This year my mantel theme seemed to flow off the mantel and down onto the floor repeating elements such as stars, Christmas trees, and cheery colors! But let’s start at the beginning. I began the Christmas mantel with a bed of greens. Not a garland but lots of bits and pieces of greens I’ve collected for year and years. My favorite way to dress a ledge in greenery is to use a little bit of this and that. For some reason I like the organic way it all comes together. I then entwined 100 little lights into the greens. I have a double outlet in the middle of my mantel that comes in handy for lighting Christmas greens! To the greens I added dimensional stars that had little holes in the center of them so the Christmas lights could peek through! I made these last year for the big Christmas tree in the family room and recycled them on the mantel this year. I also added a few pinecones, red ornament balls, and iron stocking holders. The week before Christmas I’ll share how I am using them! Hint: FUN stocking tutorial coming! Each tree was placed in a white container. The little tree on the black chippy bench was put in a 2 cup measuring cup! The larger tree on the mantel went into a white ironstone mixing bowl. And the tree on the floor went into a white ceramic beverage container filled with red, silver and white ornaments! This year my mantel is decorated with a warm and cheery farmhouse feel! Decorating styles can vary all over North America. 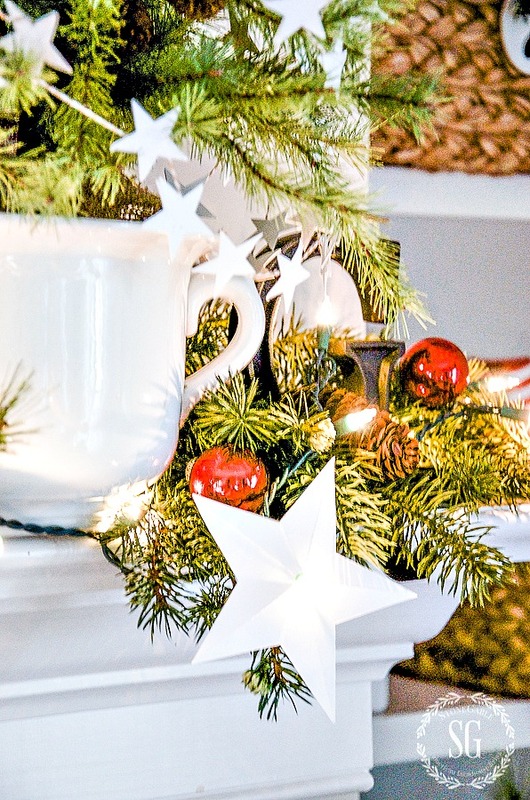 Enjoy visiting these other fabulous blogs to see how they’ve decorated their Christmas mantels in the region where they live! 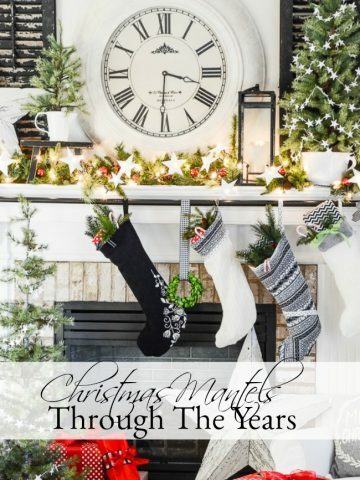 CHRISTMAS MANTELS THROUGH THE YEARS! Such a beautiful Blog. I love all of your ideas! The curtain rod stocking holder is spot on! Thank you. I love your mantel! I too stocked up on trees to decorate with this season and am so glad I saw your post. 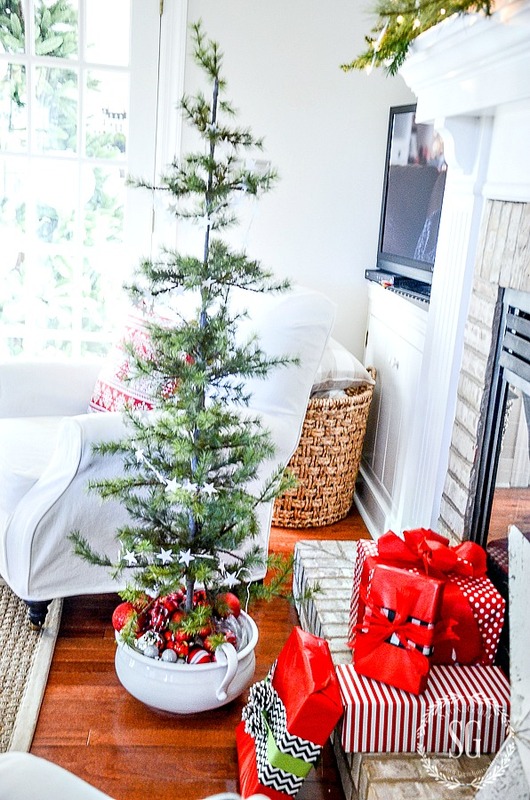 You have such great ideas for placing your trees in interesting containers. Thank you for sharing. I can’t wait to get started. I love your mantel, it is beautiful. Please tell me where you found your great clock, it would be perfect for my mantel. Yvonne, I Love the simplicity and attention to detail — I have been following you for awhile and have recently entered the ”blogging world” myself. I pray I inspire and motive people to ”love” their homes the way you so obviously do. WELCOME to the wonderful world of blogging, Joyce! What is your blog? Your mantle is lovely. Thanks for all the tips and ideas. I love everything about your festive mantle. It surely gets me in the spirit of Christmas. Your Xmas decoration is breathing, especially your mantel. Love your Christmas mantel, Yvonne!! 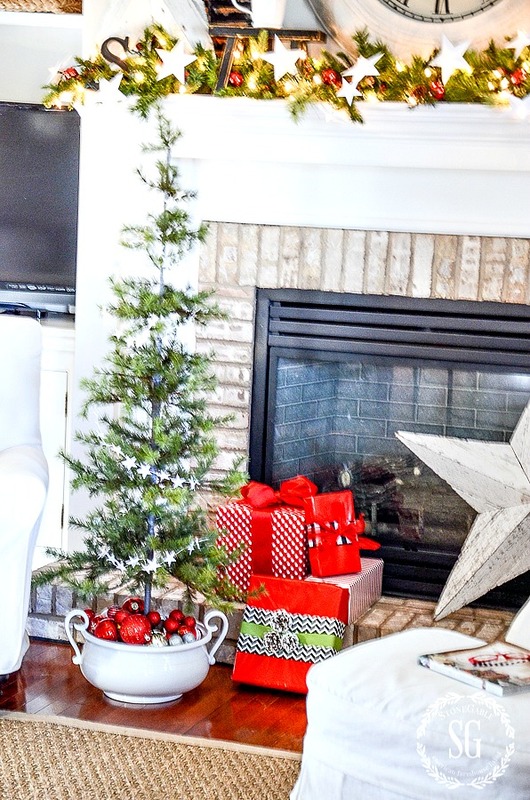 So festive…..I especially love the small tree in the white dish with red ornaments at the base!! What a great idea…. Thanks for sharing – very much enjoying all of your Christmas posts! Thank you for the fresh ideas. I usually do my mantel the same way every year but anxious to try something different this year thanks to you! I so love your mantel!! Love how you used the white mixing bowl and pitcher and all the star’s are those 1inch stars? Love your beautiful mantle Yvonne. As always your creativity iinspires me. Your mantel is gorgeous! I love decorating with trees also! Thanks so much for your wonderful ideas, especially today, since I am “working” on my mantle. Oh, I bet it looks magical at night. It is so simple and yet elegant. I so enjoy seeing what clever ideas you come up with. I enjoy looking at your Christmas decorating ideas in your home. Your presents are beautifully wrapped too. Great tips and inspiration! Thanks for sharing! Gorgeous and so inspiring. Those shutters are the bomb. I love all the elements you use in your mantel. Absolultely beautiful! The shutters add a great touch! Love the mantel and the little black stool! I love doing my mantel each year as well. A home without a fireplace is a deal breaker for me!! This is one of the loveliest mantels I’ve ever seen. Thanks for sharing. Thanks so much for the wonderful inspiration! Stars have been my Christmas decorating go-to for years. Last year, I used paper whites on my mantle and although I love them, I found them too droopy and I was constantly spinning them to keep them upright. Thanks for the tree idea! I already have the mini star garlands so now I just need to find trees to fit the space since my mantle is on the small side. I’m jealous of your double outlet! Love using ornaments as filler in the base of your xmas tree pottery. Colorful and creative. Gorgeous as always my friend and I think we had the same love affair of trees going on this year with our mantels! So fun being apart of this tour with you! 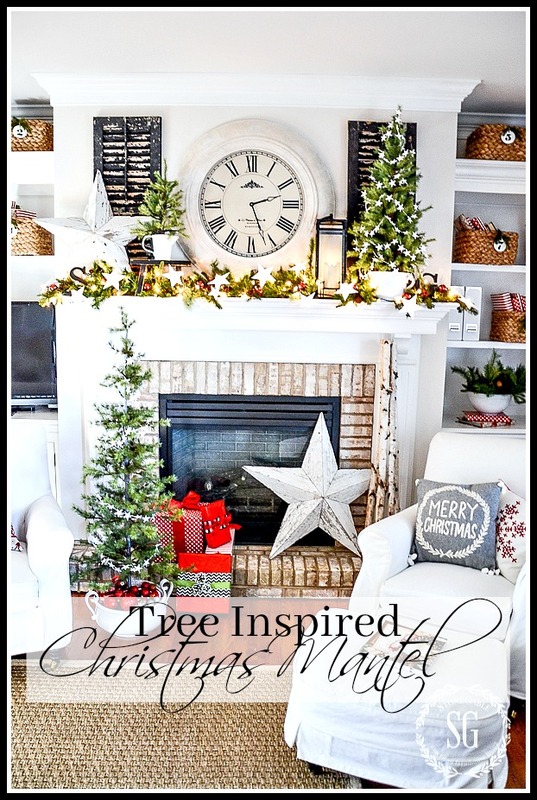 i look forward to your Christmas mantel every year….every year as beautiful as the next…Love the tree inspired theme!…Beautiful and cozy!! Your mantel looks beautiful! You can’t beat classic white for Christmas decor. Merry Christmas to you & your family. Love all you do. I think you will be my virtual Christmas! I adore your trees! I’m using “borrowing” some of your ideas for my mantle! The look is beautiful!! ‘Another display of gorgeous decor. Yvonne, your emails and photos are what I look at each morning that they arrive, with my first cup of coffee!! I re read them, take notes and study your photos! I love your tree and star theme! For me, Christmas really is represented by trees! I adore them and they make me so happy! I love the ironstone containers in which you put your trees! My Mom left me her collection and I plan to use them creatively like you!! I am also bored with my walls and I’m thinking very seriously of trying sonnet in my living room and dining room! It looks like a warm, joyful color and I love how it works with your neutrals and black! Tomorrow, my mission is to look for some faux boxwood accessories! Thank-you for your beautiful step by step directions! I can’t wait until your next post! Warm, cheerful and simple. I love your mantle!! !Gives me an idea. Thanks! This is just lovely! The trees are perfect- and I love all of the extra touches around the fireplace. I’m so happy to have joined in on this blog hop with you and discover your beautiful blog! I really like the way you used the simple, white kitchen containers. The trees all look so festive in them. I love, love the trees! I love the festive look. I have always adored your stars. 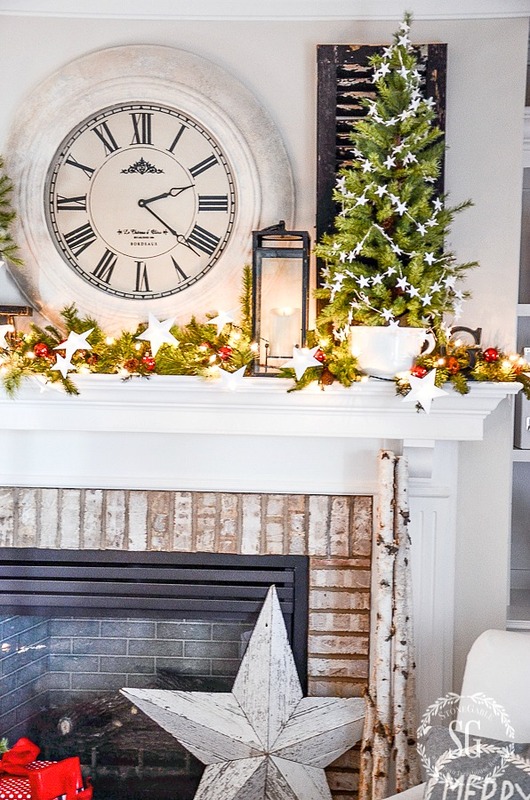 Love the mantel trees….especially using the containers that are already in the house….! Wow! I LOVE your ideas! I am inspired by the natural look and the pops of color that you chose. 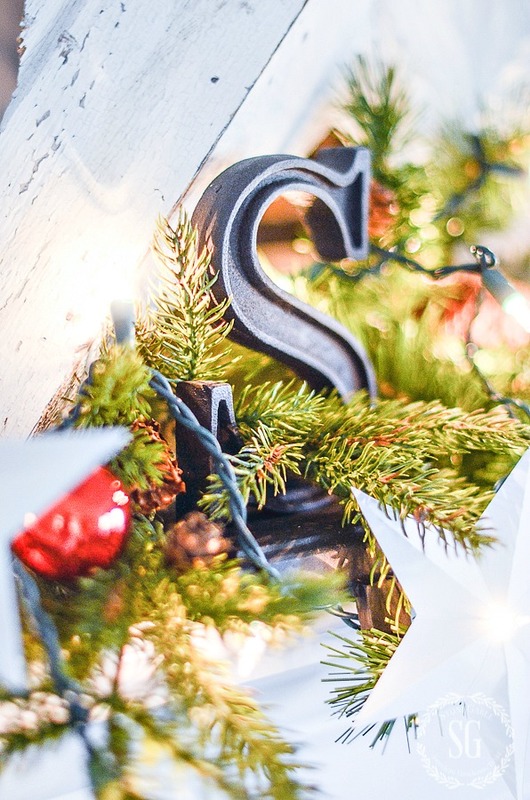 I have a love of Christmas stars this year and was excited to see that you have incorporated them in your decor as well. Thanks so much for sharing your talent and ideas with us! Hello! I just love it all!! Especially the stars! Going to see if I can copy what you have done..so very pretty!! Thanks for the ideas and of course the generous giveaway!! Merry, Merry! Just wondering if you ever light your fireplace? We have a wood burning fireplace which we have a fire in almost every day during the winter months. No hanging stockings or putting real garland around our fireplace….fire hazard. Any suggestions on decorating a fireplace with a fire in it. Our fireplace is a gas burning fireplace. It throws off lots of heat. I do move any things in front of it when we want to use it. Gorgeous as always, Yvonne. I love the little tree on the floor with the ornaments inside the bowl. I need to find stars like yours. Love them! Love it! So beautiful. Wish I could do something nice with my mantel, but I have a corner mantel around my wood burning stove so it’s harder to style. Gorgeous! I can’t get over those trees. Did you buy those local? Yvonne, I love all the trees and the stars, what a fun, happy, festive theme for your home!! As always you did a wonderful job creating a happy Christmas home!! Love it! however i think the clock should have been smaller!To me,it over powers the space! I love seeing all the stuff you do!Happy Holidays! GF ! Love, love, love your look. Darling! Where did you find the large tree on the floor,? Will you share? Your mantel is gorgeous! I bet it is even better lit up at night. I love the use of the white containers. I am definitely going to copy what you’ve done. Lots of great ideas to borrow – thank you for giving me some great ideas for this year with my mantel! I like the use of “white” – cannot go wrong. Once again your decorating style is inspiring. Thanks for all the ideas! The mantel is my favourite place to start decorating and it is the one thing I really miss by far the most when the decorations have to come down. I love using natural greens as well as some twinkling lights, then with the fire burning and the lights dimmed the atmosphere is perfect! Love this look and your using the white dishes and pots to hold the trees. Also liked how you placed the ornaments around the bottom of the tree on the floor. Great ideas and thanks for sharing them! Beautiful. Love the trees in their white pots. So glad to see some color in your decorations and I love the trees in the white pots! Great ideas and placements! Cool how you change it up so nicely. Beautiful mantel, Yvonne! So cheerful and inviting! Your beautifully decorating home is such an inspiration to me! I look forward to your post every day, and always come away with new ideas to try. My husband of 50 years is enjoying the new decor that keeps popping up here and there, and he actually tells me how pretty everything looks, without any prompting from me. Now that’s a real compliment! Thank you so much, Yvonne, for sharing your expertise with those of us who find good home decor a bit of a challenge! Merry Christmas to you and your family! Planning on replicating the idea of small trees in white containers. Makes a statement! Such a pretty look – warm and welcoming, too! I like the idea of using pieces of different greenery for the natural variety they offer and for not having to wrestle with stiff and obstinate garland! Once again you are the inspiration for my Christmas decor. I LOVE the large star and notice that you use it consistently. Can you provide suggestions on where to find it? I can’t tell if it is wood or metal. Thank you! 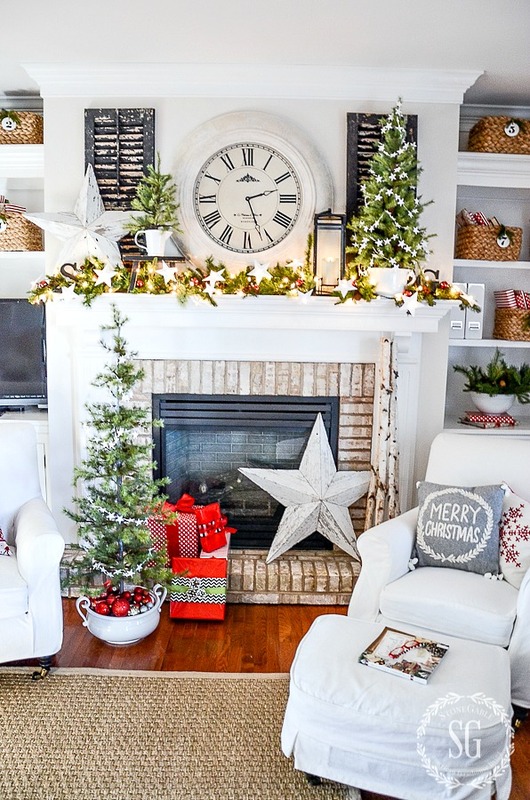 I love how your mantel theme seems to flow off the mantel and down onto the floor repeating elements such as stars, Christmas trees, and cheery colors! These are your words, but I love it when a freature flows somewhere else. We finished decorating our mantel last evening. In the center below the hung wreath are LED battery operated candles of 7 varying heights with greenery around them. The candles even have a remote control. 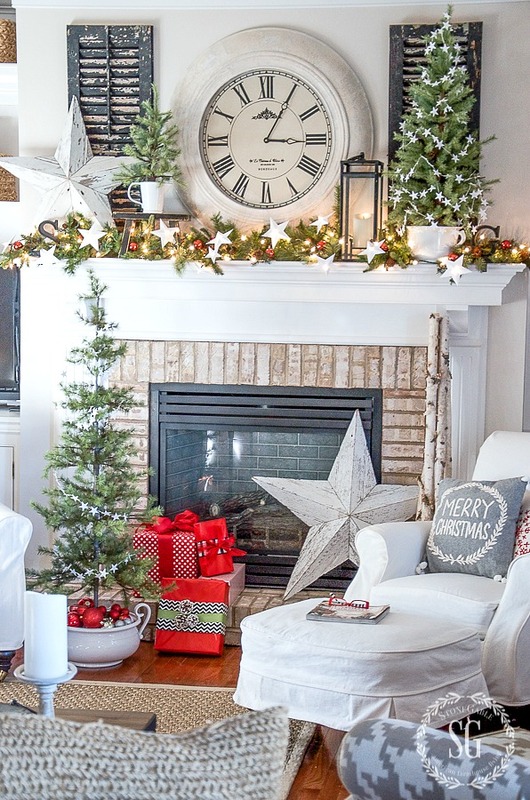 Love how fresh and bright your family room is decorated for Christmas! Your mantel is just lovely, Yvonne! It is chock full of cheery farmhouse goodness. I always enjoy seeing all of the detail you put into your decor. Looking forward to seeing the rest of your holiday home!! Beautiful Yvonne! I especially love the trees!! Where did get those? I love the height and how they have space for ornaments or garland! Love it!! I love how you carried the STAR motif through out, Yvonne. Charming! Love the mantel and the use of organic elements. So cheerful and inviting looking!! Love those stars. Did you have a tutorial from last year. Great concept putting a tiny hole in middle ?!! Love the different sizes and shapes of trees and pots, love them all. I especially like the little star garlands. I hope you’ll show us all the trees that have shown up in all the rooms at StoneGable throughout the season. I don’t want to miss even one! I love your ideas and also like the touch of red on the wrapped gifts. Love your blog…always gives me inspiration and new ideas. Love the idea of utilizing non-traditional containers to hold the trees! I always get inspired to think out side the box when I visit your site. It’s always a treat and I find myself flagging not deleting your emails. 🙂 The mantle looks inviting – it makes you want to linger with a cup of coffee or cocoa. Yvonne, thanks for the decorating inspiration.I love your mantle, especially the small star garland. My grandaughter is always coming to our home and asking what projects she can make. We will be making stars lots and lots of stars. Thanks again and have a great day! 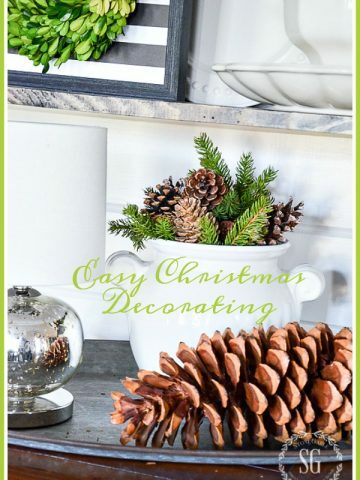 You are loaded with beautiful decorating ideas for Christmas. Love them all! Love the containers you used for your trees! Great idea! OMGoodness, I so love it! Stars, mini trees, did I mention stars……giggle! You out did yourself this year and yet I can see the simplicity of it…….going to try and implement some of your wonderful ideas this year! Already got some new greenery at Small Business Saturday and I’ll be keeping an eye out for more! Thank Bunches for all you do to inspire us everyday! I enjoy your blog… so many inspirational ideas. I especially like the more natural way of decorating for Christmas…. just beautiful! I love trees too Yvonne. So pretty. I love this mantel Yvonne! It’s so cheery. I’m a fan of light – the lighter the better. You have achieved that wonderfully! Yvonne I love how you carried the star theme from the tree garland, the stars you made last year, from above to below with the larger metal stars and again the star garland on the tree on the floor. It’s a wonderful balance! You get a STAR for your creativeness!! What a gorgeous ante love, Yvonne. Thanks for sharing all these beautiful mantels, it was so fun to see all of these decorating ideas! Such a beautiful mantel. Those large stars are gorgeous! LOVE that big star and how well it coordinates with that beautiful (call me green with envy!) clock!! Just perfect. Your mantel is awesome, as always, my friend! I love your use of varying heights of trees and stars. And the little pops of red bring it to life! Pure delight! This styling certainly bears your signature Yvonne. Thank you. I just love the trees in the different white ironstone! The addition of the white stars is simple yet so pretty. Great job! Did you make the dimensional stars? Do you have a tutorial? Can’t wait to see all your ideas for the rest of your home. Yvonne, your mantel is just beautiful!! I love, love, love the trees! 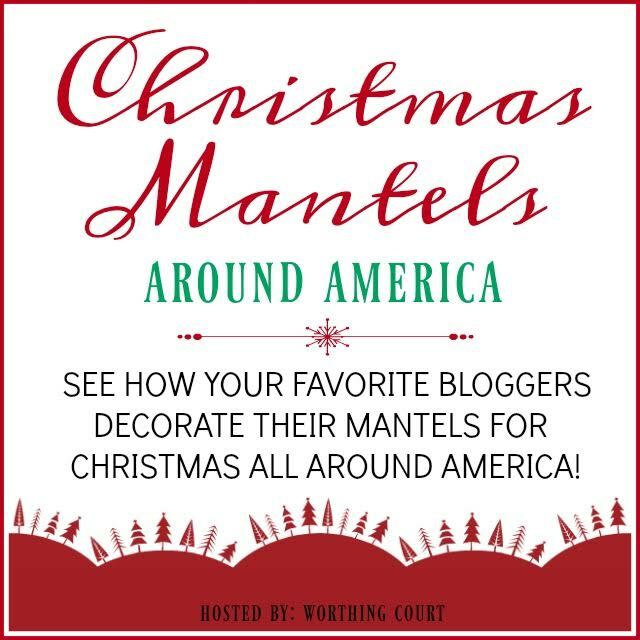 I’m enjoying being in the Christmas Mantels Around America tour with you! Love all the white containers you used for trees! Beautiful job, Yvonne! Wishing you and your family a Blessed Christmas season! Mondays are my day off and I am perusing blogs for inspiration as my mantel is the first thing I am doing as well! Not only inspired but in awe of how pretty yet casual your seems to be, my favorite style for sure! Thanks for giving me the motivation to do something different! 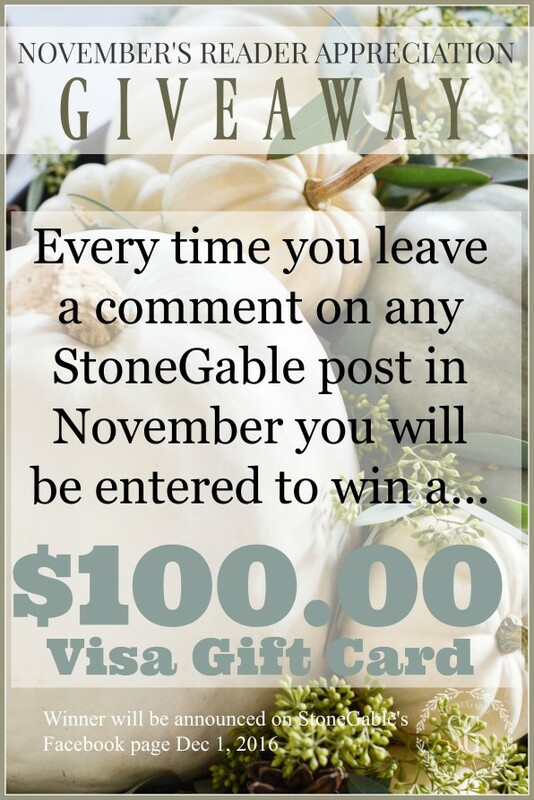 I never thought to use ironstone on the mantel, but I’m going to try it now! Love the trees in the ironstone pots! Beautiful mantel Yvonne! I especially love the use of white bowls and cups. It adds a unique interest to the mantel. 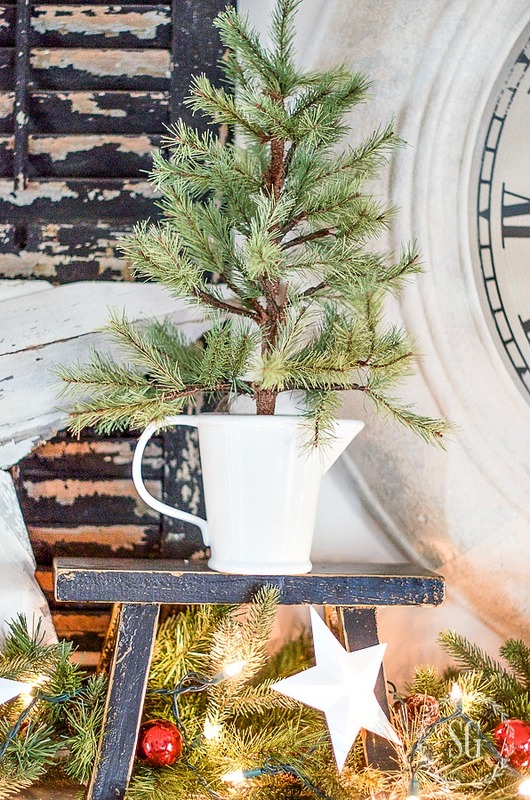 love the tree in the beverage container…..adorbs! I love Christmas and for the past four years, I haven’t decorated for the holy day. We always leave the day after Christmas and hubby felt that it would be futile to not appreciate the decorations for the full extent of the season. Well, I felt as if there was something missing. I am decorating this year whether I can appreciate one day or one month. Thank you for all the tips! This is the first year we have a mantel, since we added an electric fireplace to our family room. I have been looking for decorating ideas for it and you’ve helped a lot! Thank you for sharing! What great ideas! Your home is beautiful decorated for the season. Love, love, love. Simple beautiful!!! You are amazing. It’s beautiful! Would love to see how you decorated your shelves above the tv, too. 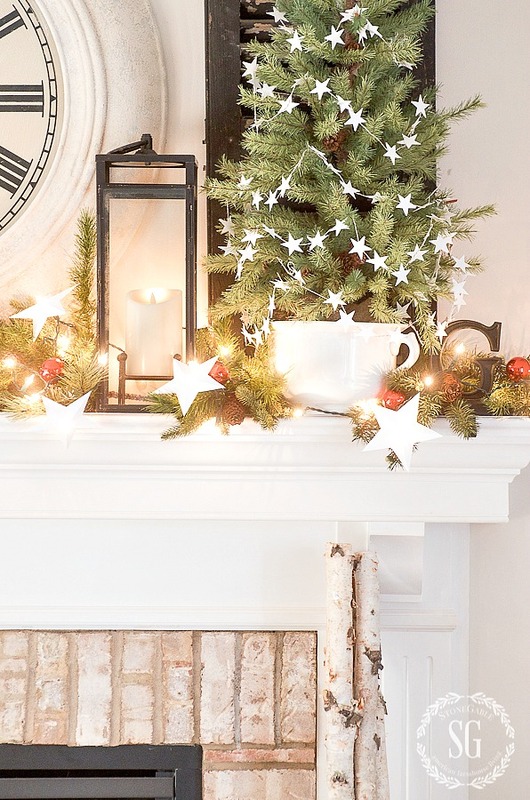 Loving your trees and stars mantel theme! I am not very crafty but I save Christmas and birthday cards. I cut them up to use a gift tags. I use pinking shears and a hole punch. Then I thread ribbon through the hole. Yvonne….you say that your geenery is artificial???? It looks so real….. Love your mantel…. beautiful. I dont have a mantel either but I certainly use your ideas for my table and shelves.Thank you..Such classy farmhouse style.? Your home is always decorated beautifully and that is especially true this season. Thank you so much for sharing. Just lovely. Thanks for sharing. How do you get the trees to stand in each of these white holders? Is that a chamber pot with the tallest tree? What is keeping it standing straight? Hi Nan, the largest tree on the floor is in a beverage container. The trees are weighted in the bottom and that anchors them. Love the look of the small forest of trees. This is something I would do at our office before we retired. Simple, different heights and a ‘forest’ floor of cotton snow surrounded by a small picket fence. Love all the locations you have found for your little trees. I adore your gorgeous little trees!! Hi Sherry, the trees are faux. They would drop and get dry by Christmas if they were real. Christmas is beautiful. I like all the white with the red color thrown in and the greenery. I am starting mine today. It is so lovely and festive! I don’t have a mantel either, as one commenter said, but I use your mantel ideas on a buffet in the dining room. Works just as well. Looks like I’m going to be making star garlands for the next couple of days! I love the way the small trees look! It’s a beautiful arrangement, as usual, Yvonne. Thanks for the inspiration. I love small Christmas trees . Decorate separate tree for each grandchild. Your mantle is beautiful! So bright and cheery for when the winter days become long and dark. I love the trees in the white containers and the red accents! 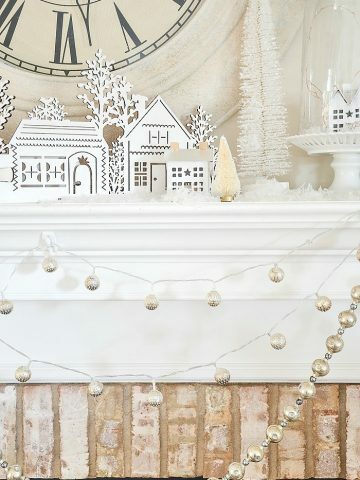 Love love love your mantel! 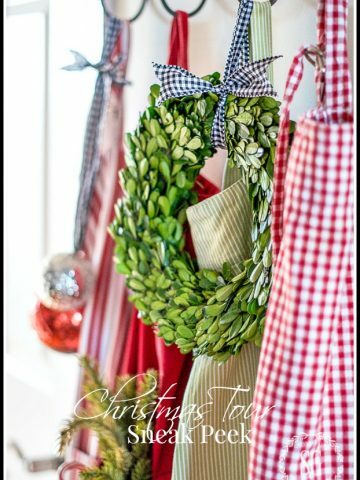 Thanks again for sharing your tips, especially that you don’t use a garland but bits and pieces of greenery. Your lovely posts are really getting me in the Christmas spirit! Thank u for your dedication. Love the movement created by the trees and pops of red and white. Your mantel are beautiful. I don’t have a fireplace so i don’t have a mantel. I was hoping you could show some shelf decorations. Book shelfs, entertainment centers, side tables etc. I have gotten a lot of ideas from your post but need a little more help. You could transfer many of these ideas to a shelf or tabletop. Stop back Friday and see how I decorated my open shelves for Christmas.